R-410A, also known as Puron, is arguably becoming one of the most popular refrigerants in the world. It rose to prominence here in the United States in the year 2010 when it’s predecessor, the HCFC R-22, was banned due to the Chlorine that it contained. Ever since then R-410A has primarily been used on all new residential and commercial air-conditioning applications. Along with residential use it can also be used in industrial refrigeration, chillers, and on centrifugal compressors. Chances are if you have a unit from 2010 or greater it’s using R-410A. But, what exactly is 410A? What goes into it? What are it’s properties? History? Well today folks we are going to dive in and attempt to learn every single thing we would ever want when it comes to R-410A. Please join me, but be prepared for a long read. Chemistry: Zeotropic, but near Azeotropic blend. Status: Active & Growing Market. Future: May be Phased Out in Next Ten Years. 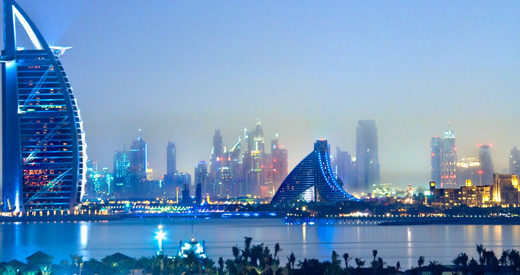 Application: Residential & Commercial Air-Conditioning. Flammability Levels: Class 1 -No Flame Propagation. Boiling Point: -48.5° Celsius or -55.3° Fahrenheit. Critical Pressure: 4.86 MPA or 704.88 pound-force per square inch. EPA Certification Required: Yes, 608 certification required by January 1st, 2018. Require Certification to Purchase? Yes, 608 certification required by January 1st, 2018. Price Point: Medium - $90-$160 a cylinder. Bulk Purchasing: CLICK FOR A QUOTE! Ok, so we’ve got the basic facts out of the way on this refrigerant. Now let’s take a look at some of the more interesting points about Puron refrigerant. I’m a little behind the times here as R-410A has been in widespread use for almost ten years now but I figured I would mention this anyways. 410A’s purpose was to come up with a viable alternative to the HCFC R-22 Freon that was found and still is found in residential and commercial air-conditioning applications. While R-22 contained Chlorine the HFC 410A does not so there is no harm that can be done to the Ozone layer. Unlike R-22 the new R-410A is a blended refrigerant mixed up of R-32 and R-125. In some instances blended refrigerants act differently then single refrigerants. We will get into that further on down this list. R-410A is actually more efficient at absorbing heat then R-22. What that means is that your air conditioner won’t work as hard and your home will stay cooler all the while saving on your power bills. 410A operates at a much higher pressure than R-22, between fifty to sixty percent higher. To accommodate this increased pressure the compressors and other components are built to withstand the greater stress. Some people describe these components as having a ‘thicker wall.’ If you were to use an R-22 compressor on a 410A application your compressor would blow it’s head! The extra toughness of these components come with the extra bonus of ensuring a longer life of your air conditioner. Because of the higher pressure of Puron you will need to have special tools in order to service the unit. I will go into this further in the tools section but I wanted to point it out now. R-22 tools will NOT work on 410A! Instead of the mineral oil lubricant you would use for R-22 you will be using a synthetic oil called Polyol Ester Oil, or POE. This oil is actually more soluble with R-410A which causes your compressor and your system to operate more efficiently. R-22 oil will not flow through a 410A system and will most likely end up accumulating in your evaporator. The new synthetic oil, POE, mentioned above absorbs moisture at a much faster rate than mineral oil. Because of this the time allowed for the compressor to be exposed to the atmosphere is much much shorter than what you may be used to for R-22. Best practice is to ensure everything is set and ready before pulling the plugs on the compressor. Because R-22 is a single refrigerant and not a blend there was never any risk of a temperature glide. But, with R-410a since it is a blended refrigerant of R-32 and R-125 there will be a glide during refrigerant state changes. This is because the two refrigerants have different state change points. While I say this, the actual glide temperature difference for 410A is rather minimal at <0.5° Fahrenheit. For more information on glide temp differences please click here to read an instructional document from Chemours. 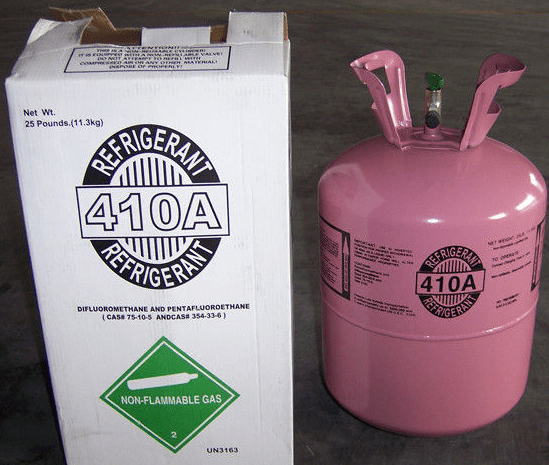 Also, Since R-410A is a blended refrigerant it is best to evacuate the refrigerant as a liquid. This ensures optimum and consistent performance. This is recommended by Chemours and other leading manufacturers. Lastly, it is VERY important that when replacing components on an R-410A unit rather they be reversing valves, expansion valves, driers, compressors, or whatever you have to make sure that the replacement you are installing is rated for R-410A usage. If they are not and they are exposed to the high pressure of R-410A you will have a failure, perhaps even a catastrophic failure. Storage requirements for R-410A are the same as other refrigerants. Cylinders should be stored in a clean, dry area, and out of direct sunlight. If you have cylinders in the back of your work van ensure that the temperature does not rise above one-hundred and twenty-five degrees Fahrenheit. Keep valves tightly closed and caps in place when cylinders are not in use. This will prevent any damage to your product, to your facility, or to your vehicle. The last point that I’ll mention on R-410A before moving onto the next section is the possibility of it being phased out. Yes, you heard right. We’ve only been at it for about ten years and there is already talk of a phase out by various governments across the world. In fact just last year, there was an amendment signed to the Montreal Protocol to phase out HFCs across the globe. 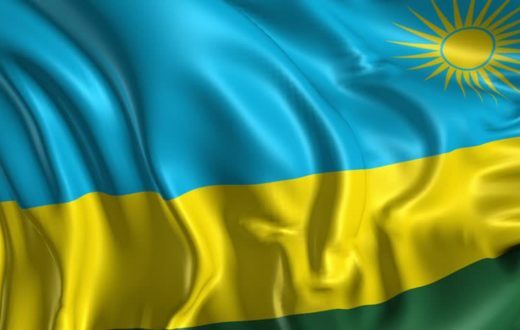 This amendment was known as the Kigali Amendment. While there has not been a specific alternative refrigerant decided yet it is only a matter of time before a refrigerant is chosen and the phase out will begin. I went into this deeper in another article that can be found by clicking here. Now I am not going to get into all of the specific details on how to service a R-410A unit but instead give you an overview of what’s changed, what’s stayed the same, and what the best practices are for servicing an R-410A machine. First and foremost I’d like to tell you what’s stayed the same. You will still need to be certified with the Environmental Protection Agency in order to service or even to purchase R-410A cylinders. You will either need Section 608 II or a Universal 608 certificate. This is the same as it was for R-22, not much difference here. Also, just like before it is illegal to vent or knowingly release R-410A into the atmosphere. If you need to evacuate the charge then you will need a recovery machine along with a recovery cylinder that are both rated to handle the pressures of R-410A. On to what’s changed. Ok, so obviously the refrigerant has changed but the big and noticeable difference here is the pressure change. 410A is anywhere from fifty to sixty percent higher pressure than R-22. So, while the basic design and operating procedures of 410A remain the same as R-22 extra caution should be paid to the pressure of 410A. With this extra pressure comes the need of new tools. Your standard gauges, hoses, cylinders, and everything else will not work with 410A. The increased pressure is too much and will cause your tools to break in the best case scenario and the worst case scenario could cause permanent damage to the unit itself. In the next section I will go over the requirements for 410A tools and what we recommend here at RefrigerantHQ. The last thing that I’ll mention on 410A is that due to the increased pressure all of the components in your standard AC system have been ‘thickened.’ These parts have an extra thick wall that allows them to absorb the extra pressure as 410A passes through them. I mention this because if you are having to replace one of these parts you absolutely HAVE to make sure that the new part that you will be installing is rated to handle 410A. Again, if you neglect this fact you run the risk of destroying the new part and also destroying the entire unit. Manifold Gauge Set – The high pressures encountered when working R-410A requires a manifold gauge set that has a low-side gauge that can read up to 500 PSIG and a high side gauge that can read up to 800 PSIG. This is significantly higher than a standard manifold set. There are many versions of gauges out there and by now I will imagine most of them meet 410A requirements. Here at RefrigerantHQ we recommend Yellow Jacket’s 49967 Manifold Gauge set. This is set is rated for both R-22 and R-410A along with a host of other refrigerants. Yellow Jacket’s official product flyer can be found by clicking here. Hoses – Hoses used on 410A applications should be UL recognized and have a minimum of 800 PSI working pressure and a 4,000 PSI burst. This covers you by providing a five to one safety factor. I will refer to the recommended gauge set above as it comes with a set of four hoses as well. If you need to purchase additional hoses then again I would suggest the Yellow Jacket hose which can be bought on Amazon by clicking here. Flaring Tools – Depending on the unit you are working on you may find that you need to flare some of the tubes in order to get everything to fit correctly. While your existing flaring tool may work there is a chance of leaks when working with R-410A due to the pressure. There are flaring tools specifically designed for R-410A that will allow for ease of use and minimize chance of leaks. Our pick at RefrigerantHQ is Yellow Jacket’s 60278 410A Flaring Tool. You can purchase one on Amazon.com and you can also find an instructional video by clicking here. Refrigerant Leak detector – There are so many leak detectors out there on the market today it can be a little confusing. Most of them by now can detect R-410A along with other HFC refrigerants. To make things a little bit easier I put together a price point comparison table that can be found by clicking here. This will give you the option to pick a detector that will work for you as well as stay in your budget. Recovery Cylinders – Recovery cylinders need to be rated to at least 400 DOT. A standard DOT 350 cylinder will not be able to safely handle the pressures of R-410A. Here at RefrigerantHQ we recommend that you purchase the Mastercool 62010 thirty pound recovery cylinder. This is a highly rated tank that can handle the high pressures of 410A refrigerant. Recovery Machine – A recovery machine for 410A must be approved for Class V refrigerants including R-407C, R-404A, R-507, and R-410A per AHRI 740-98. The recovery machine should have the following features: over sized condenser, over sized fan, crankcase pressure regulator valve, and a high pressure cutout switch rated for at least 510 PSI. (Source from Yellowacket.com) Here at RefrigerantHQ we recommend that you purchase the Robinair RG3 Portable Recovery Machine. This is an overall great unit with tons of positive reviews and it can handle the pressures of 410A without a problem. So some of you may be asking why we decided to switch over from R-22 over to R-410A. Well folks it boils down to one thing and one thing only. Chlorine. Yes, that’s right. R-22 contained Chlorine and each and every time R-22 was leaked or vented that Chlorine drifted up and into the atmosphere. Overtime the extended amount and exposure of Chlorine caused a hole, or thinning, of the Ozone layer over the Arctic. Once scientists realized what was going on they alerted the World’s Governments and they took action by creating the Montreal Protocol. The Montreal Protocol organised the phase out of CFC and HCFC refrigerants, like R-22, across the globe. R-22’s phase out began in 2010 and in it’s place came R-410A. 410A does not contain any Chlorine and will not be harming the Ozone layer. R-410A is an HFC refrigerant that is a blend of the HFC R-32 and the HFC R-125. This refrigerant was designed to be a safe, non-toxic, non-flammable, and reliable alternative to the HCFC R-22. It was invented in 1991 but did not begin to see real popularity until the 2000’s. Puron is the exact same thing as R-410A. The different name comes from the year 1996 when the Carrier Corporation was the first company to introduce R-410A into the residential air conditioning market. The name Puron is trademarked by the Carrier Corporation. The easiest way to think of it is like Freon. Freon is R-12 but Freon is DuPont’s brand name. Can I mix R-22 and R-410A Refrigerants? No! No, you cannot do this. They are two very different refrigerants and mixing them together will cause permanent damage to your air conditioning unit. Can I retrofit an R-22 Unit Over to R-410A? Yes, and no. It can be done but it is not cost effective or recommended. Instead Chemours has provided an alternative drop-in replacement to be used as a substitute to R-22. This refrigerant is known as MO99. Chemours has provided an instructional video on how to retrofit your existing unit to take MO99. If you are interested in purchasing MO99 please click here to be taken to Amazon.com. Do I Need Different Tools to Service 410A Units? Yes! Due to the much higher pressure of 410A you could risk damaging or even breaking your existing tools. You should use gauge sets, recovery machines, and tanks that are specifically designed to handle R-410A. We made our recommended tool listing in the tool section above. What Type of Lubricant Should I Use With 410A? Instead of the mineral oil that you used to for R-22 you will instead be using a high quality Polyol Ester Oil, or POE. Always double check the specific oil that your compressor’s manufacturer recommends before using. Can I Purchase R-410A Without A License? No. In order to purchase you need to be certified with the United States’ Environmental Protection Agency under Section 608 Type II or a Universal Certification 608 License. What Kind of Certification Do I Need to Work With R-410A? In order to work on 410A units you need to be certified with the United States’ Environmental Protection Agency under Section 608 Type II or a Universal Certification 608 License. Can 410A Systems Be Topped Off? 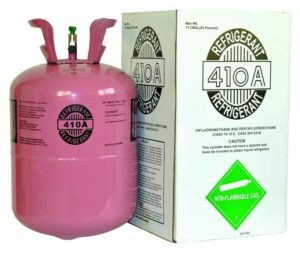 While 410A is a blended refrigerant it acts very much like a single component refrigerant. Because of this any change in composition due to a leak is minimal. The system can be topped off without having to evacuate the entire charge. Is R-410A Toxic or Flammable? No. Just like R-22 the new R-410A is rated as an A1 classification by ASHRAE. A means non-toxic and 1 means non-flammable. For more information on toxicity and flammability ratings of refrigerants click here for an article I wrote the other day. There are a lot of manufacturers for R-410A. Some of the most popular names are Honeywell, Chemours/DuPont, Mexichem, and Arkema. There are numerous other companies out there as well including a whole host of imported Chinese product that may not be the highest quality. What Countries Are Using R-410A? The United States, The European Union, Japan, and many others. It is a very widespread and popular refrigerant nowadays. Is R-410A Being Phased Out As Well? This one is hard to say. In the year 2015 the United States’ EPA announced a new rule to their SNAP program. This rule was called RULE 20. A fact sheet on this rule can be found by clicking here. Basically, this rule announced the planned phase out of HFC refrigerants across the United States. The initial target was R-404A and then R-134a. While R-410A was only mentioned against vending machines and other non-residential applications I feel that it is only a matter of time before 410A is on the chopping block to be phased out. I believe the only thing holding us back right now is finding a viable alternative to 410A either through HFOs or Hydrocarbons. So, when did all of this start? Well, to understand the history of 410A and the other refrigerants we first have to go back in time to the 1980’s. Back then all automotive applications were using the CFC R-12 refrigerant for their air conditioning and all residential air-conditoner units were using R-22. These two refrigerants, R-12 and R-22, were the original mainstream refrigerants that came from the 1930’s. Ever since then they had gained and gained in popularity until they were practically found everywhere across the country and the world. It was in the 1980’s that a team of scientists out of California realized that all of the Chlorine that was in CFC and HCFC refrigerants were causing damage to the Ozone layer. When vented or leaked the refrigerant would drift up and into the atmosphere. It is there where the Chlorine would do it’s damage. Eventually it got so bad that a thinning of the Ozone layer began to form over the Arctic. The scientists noticing this sounded the alarm and the world’s governments took action by creating the Montreal Protocol. In 2010 is when the phase out of the ever popular HCFC R-22 refrigerant was to begin. At that date no new machines could be manufactured that took R-22 as a refrigerant. This was the line in the sand saying that there would be no more Chlorine containing refrigerants used. While 2010 was the beginning there was a schedule of set dates every five years that would slowly phase out R-22 entirely from the United States. A picture of this phase out schedule can be found below. In 1991 the new HFC refrigerant R-410A was invented by the Honeywell Corporation. (Back then they were known by Allied Signal.) After invention Honeywell licensed production and manufacturing rights of 410A to other companies but even today Honeywell still continues to lead production and sales of 410A. 410A saw it’s first use in a residential air conditioning system all the way back in the year 1996. (Hard to believe that was over twenty years ago!) The Carrier Corporation was the first company to introduce 410A into the residential marketplace and during that time they trademarked 410A as their brand name known as Puron. While 410A could be found at homes in the early 2000’s it was sporadic. It wasn’t until we got closer and closer to the announced phase out date of R-22 that things began to pick up. Even though we were only a few years away from the phase out date there were still companies who had their heads buried in the sand and hadn’t bothered to train themselves or their technicians on the new technology. You can’t blame them really it’s human nature. The change was down the road and they would worry about it then. In 2010 when the change did come into play and no new R-22 machines could be manufactured things began to get real for people. 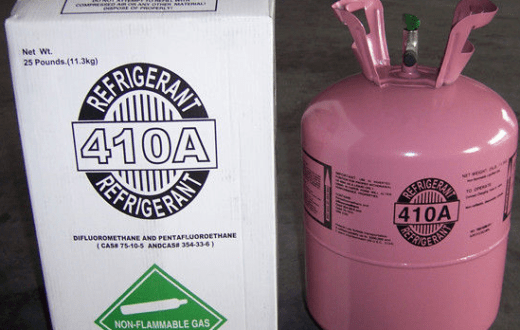 R-410A was the new refrigerant and it wasn’t going away, at least for a while. A lot of the old-timers out there got fed up with it all and decided to retire right around 2010. The younger guys or mid-career guys stuck around and got through the turbulent years. 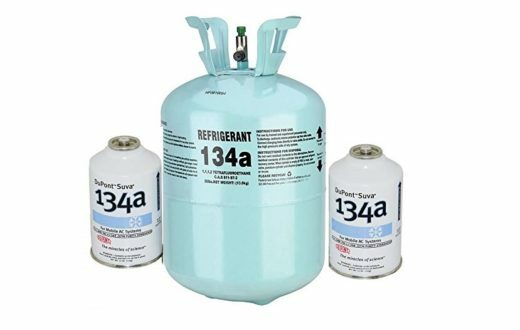 Today, in October of 2017, R-410A is one of the most widely used refrigerants in the world. 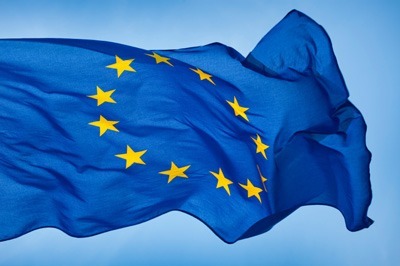 It is used in the United States, the European Union, Japan, and many other countries. But what is it’s future? How long will it be around? 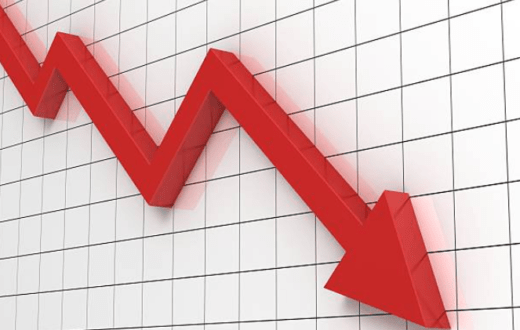 It was in the early 2000’s that a problem was discovered with HFC refrigerants. This problem wasn’t like the CFC or HCFC refrigerants that came before them. After all, there was no Chlorine involved so there was no thinning of the Ozone layer. No, this problem came from something called Global Warming Potential or GWP. GWP is a relative measure of how much heat a greenhouse gas can trap in the atmosphere. As a basis of measurement they set Carbon Dioxide as a one on the GWP scale. Ok, so we have our baseline established now let’s compare the one GWP of Carbon Dioxide to an HFC refrigerant. One of the more popular HFC refrigerants known as R-404A has a GWP number of three-thousand nine-hundred and twenty-two. Yes, you heard me right. Three-thousand. That is a HUGE number and obviously a huge problem when looking at Global Warming. Every time 404A was released, vented, or leaked into the atmosphere it would get trapped as a greenhouse gas and actively contribute to Global Warming. But it would do this and be thousands times stronger then Carbon Dioxide. This was obviously a big problem. In 2015 the EPA announced RULE 20 of their SNAP program. This rule set the rules for phase outs of HFC refrigerants across the United States. It can be found by clicking here. 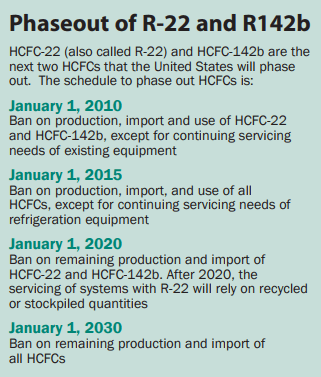 Basically this rule introduced dates of when HFC refrigerants would be phased out. The first target was R-404A and the next was R-134a. The next year in 2016 an amendment to the Montreal Protocol was announced and signed. This amendment, known as the Kigali Amendment, scheduled the phase out of HFC refrigerants across the globe. Now I am not sure how this will affect R-410A at this point in time. 410A has a GWP of two-thousand and eighty-eight. While this is a high number 410A was not mentioned in the new Rule from the EPA. (It was mentioned for vending machines but not for residential/commercial air conditioners.) I believe this was done because everyone had just switched over to 410A and wouldn’t make sense to transition so soon after to a new refrigerant. The other reason I believe 410A was left out was that there has yet to be a new alternative announced. Chemours and Honeywell are working on alternative as we speak but nothing is nailed down. I wrote an in-depth article on possible solutions for 410A alternatives that can be found by clicking here. Regardless of what happens in the next few years I can assure you that R-410A’s time with us is limited. We have the EPA and the governments of the world all fighting against it due to it’s high Global Warming Potential. If I had to wager a guess I would say that by the year 2025 the phase out will begin and we will be looking at a newer HFO refrigerant that has not been invented yet. Time will tell though. Thanks for reading and I hope that I was able to answer all of your questions and concerns.